$35 million, 40,000 sq.ft. 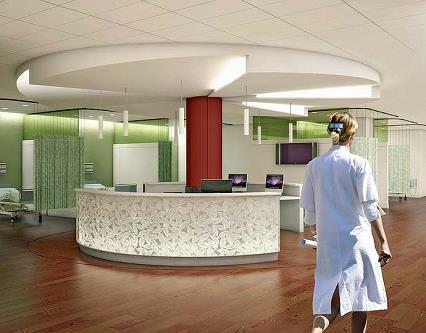 multi-phased surgery center renovations and expansion with infrastructure upgrade. Scope includes constructing two new O.R. and renovation of 8 existing surgery suites, including Ortho, Urology, Cardiac, vascular, Neuro, and three general ORs. The remodel consists of HVAC upgrade, installation of new equipment and anesthesia booms, replacing surgical lights, and IT Integration. Extensive field survey was conducted off hours to minimize facility disruption. The existing conditions were documented in Revit for 3D coordination purpose. Detailed phased construction plans were developed to ensure demolition and new work for different utilities are clear defined in each phase for scope clarity. 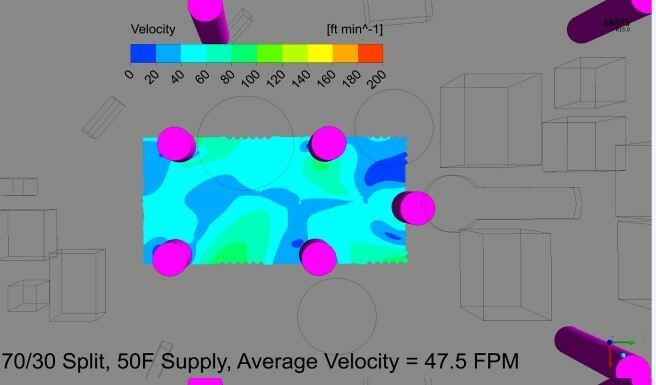 Computational fluid modeling was used to simulate air flow pattern and temperature distribution as an effort to determine the selection of OR diffuser system and validate the HVAC system performance.